On 12 January 2018, H.E. 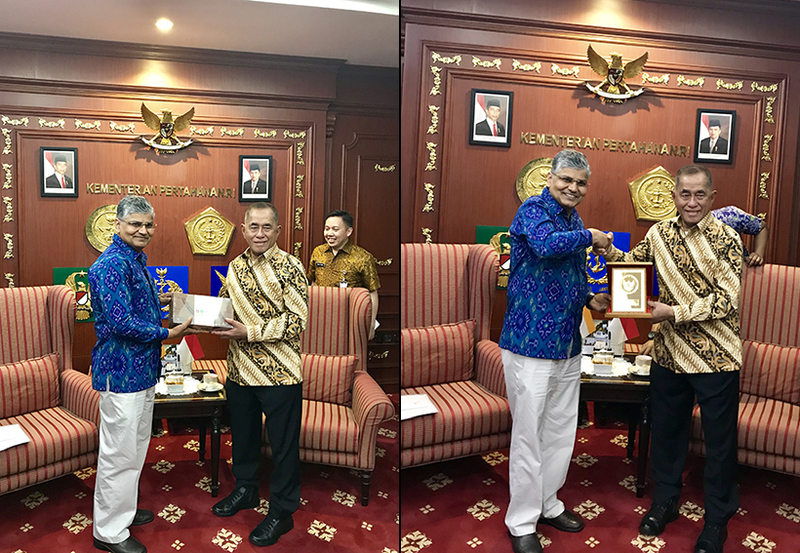 Ambassador Pradeep Kumar Rawat paid a courtesy call on the Hon’ble Defence Minister of Indonesia, Gen TNI (Retd) Ryamizard Ryacudu. During the meeting both sides discussed ways and means to further deepening bilateral defence cooperation. Ambassador welcomed the upcoming visit of Indonesian Defence Minister to India and apprised him of the arrangements being made for the visit. Both sides also discussed the possibility of hosting Indian culture troupes at prestigious defence institutionsacross Indonesia.